Ignoring a dry eye is a mistake. Untreated, it can lead to vision problems. 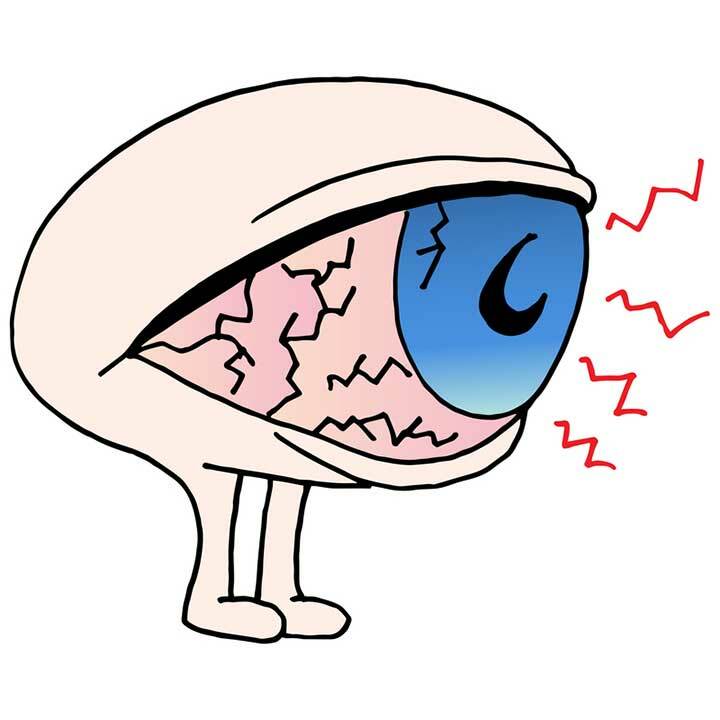 Chronic dry eye is usually related to malfunctions in the eye’s lubrication system. Nearly 5 million people age 50 and older have dry eye syndrome, according to the National Eye Institute. This condition affects the tear film, which provides moisture and protection to the front of the eye. A dry eye doesn’t produce enough tears, or the tears don’t have the proper consistency to lubricate the eye. Dry eye causes irritation that stimulates a rush of tears, so you may actually experience the condition as an overly watery eye that is prone to irritation and tearing up. However, the watery tears may be deficient in certain natural components and do not soothe the dry eye effectively. Many people describe dry eye as the sensation of having a grain of sand stuck in your eye. An estimated 3.2 million women may have dry eye. Women who have gone through menopause are at greatest risk of dry eye because declining hormone levels reduce tear production and subtly increase inflammation in the eye. Research suggests that twice as many women as men 50 and older may suffer from dry eye and also spend more money on dry eye therapies. 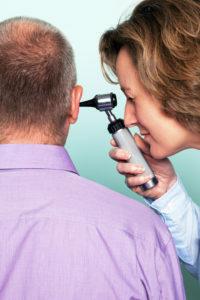 A large number of men are also affected by dry eye. A study of more than 25,000 male physicians suggests that 1.7 million men age 50 and older have dry eye, and the number is expected to rise to 2.8 million by the year 2030. dry eye becomes twice as common in men from their early 50s to their 80s. The underlying cause may be declining male hormone levels that contributes to the deterioration of the tear film. Other risk factors include eye fatigue (such as from using a computer or driving a lot), smoking, LASIK surgery, and long-term use of contact lenses. A watery layer adheres to the mucus on the surface of the eyeballs. The lacrimal glands supply the tears, while cells on the eye surface produce a mucus. If the lacrimal glands don’t produce enough fluid, you could develop dry eyes. An oily film caps the watery layer and keeps it from evaporating. This layer is produced by the meibomian glands, which line the margins of the lids. An insufficient oily cover allows the watery layer beneath to evaporate more quickly. Every eye blink replenishes the tear film. Watching TV or working at a computer makes you blink less, which can worsen dry eyes. Dryness often comes with inflammation, made worse by rubbing. Even when it is mild, dry eye syndrome is uncomfortable. You may need special drops to give your eyes’ natural lubrication system an extra boost. In most cases it can be treated easily with over-the-counter artificial tears. You may need to try drops with different formulations to see which one works best for you. Eye drops containing omega-3 fatty acids might help reduce the inflammation in dry eye. Some very preliminary studies have suggested that taking dietary supplements with omega-3 fatty acids may also help relieve dry eye. For people who don’t respond to conventional dry eye treatments, drops containing the immune-suppressing anti-inflammatory drug cyclosporine may relieve symptoms. More severe cases of dry eye may be treated by inserting tiny plugs into your eye’s drainage system to block tear flow from your eye. These plugs force your natural tears to back up into your eye, which can help maintain moisture. Another new option for treating dry eye is a medicated insert called Lacrisert, available by prescription, which dissolves in the eye and provides lubrication. A new kind of medication administered to the surface of the eye, called lifitegrast ophthalmic solution (Xiidra), was approved by the FDA in 2016. The first in its class, Xiidra is the first dry eye treatment to both reduce dry eye symptoms and prevent damage to the eye surface. Use a humidifier in your home to increase moisture in the air. Wear glasses that wrap around your face or have side shields to prevent wind from evaporating your natural tears. When using the computer, reading, or focusing on other tasks, take breaks, look away, and deliberately blink periodically. 4 strategies for natural dry eye treatment, anti inflammatory, contact lenses, dietary supplements, dry eye, dry eye syndrome, Dry eye treatment, dry eyes, eye drops, eye institute, eye symptoms, eye treatment, hormone, inflammation, mucus, natural dry eye treatment, omega 3, omega 3 fatty acids, smoking, supplements. Thank you so much for the wonderful explanations, It was very clear to understand it. To take care of, I am going to follow your explanation, without going to the eye doctor, although the eye doctor gave me ointment called: GenTeal Tears, I am using it every night. Thank you so much! I am sorry for the mistake that I wrote; the medication is not an ointment, it was a GEL. Delivers long lasting relief of dry eye symptoms. New Design. Thank you!